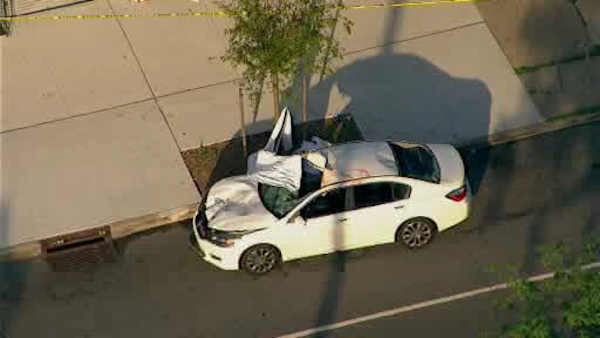 GERRITSEN BEACH, Brooklyn (WABC) -- A driver is facing drunk driving charges in a crash that killed a teenager on a bike in Brooklyn. Police say 24-year-old Thomas Groarke's Honda Accord crossed into the painted median and struck 17-year-old Sean Ryan around 8:45 p.m. Sunday in the Gerritsen Beach section. Officers found Ryan unconscious and unresponsive and he was pronounced dead at the scene. Groarke was taken into custody at the scene and has been charged with vehicular manslaughter and driving while intoxicated.